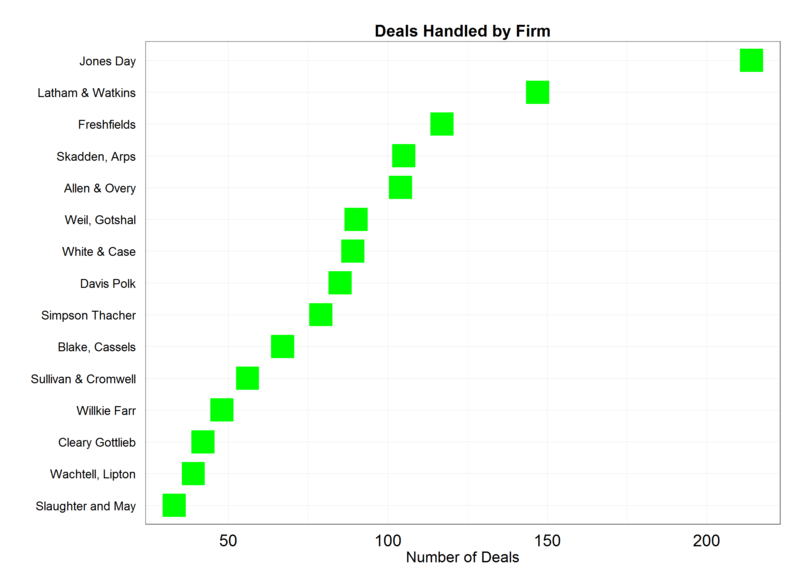 The next plot shows the same 15 law firms according to the value of the deals they have been engaged in during the same time period. The values are expressed in b illions of dollars. 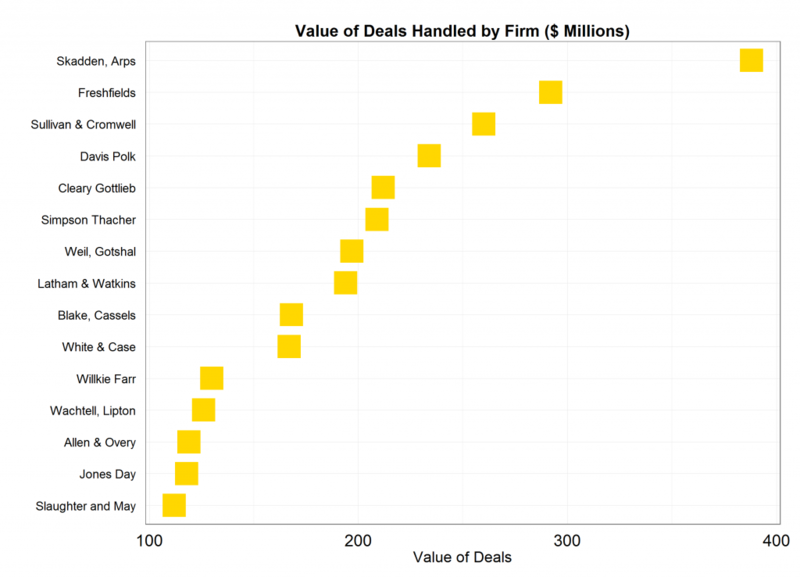 As can be seen, of the top three firms by numbers of deals handled, only one of them makes the top three by value of deals. Lots of relatively smaller deals earned them a place in this group of elite M&A firms, in other words. By analogy to Revenue Per Lawyer, the M&A deal stats might interestingly be cross-tabulated against size of firm and size of the M&A practice group. Dispersion might be different, and more informative of “quality” relevant to a GC’s selection of counsel, when viewed against the measure Deals (or Deal Dollars) Per M&A Lawyer. Very large firms do more deals just because they are bigger, though large M&A groups may be larger because they do good work.